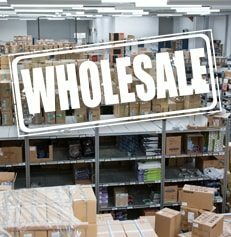 Wholesale Grocery Distributor: The Best Choices, Shopping Options, & Prices Around! Welcome to Creager Business Depot, a wholesale grocery distributor located in Denver, Colorado since 1958 and serving customers nationwide. We stock thousands of items from top sellers to hard-to- find items and we offer much more variety of wholesale products than the traditional big-box stores carry. 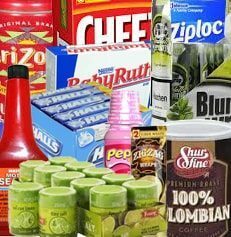 We want to be your wholesale supplier for beverages, candy, Mexican candy, grocery, Mexican products, vaporizers, tobacco, automotive products, gift shop supply and more. We supply all products for head shops including, smoking accessories, vape pens, glass pipes and more. No membership fee required to receive wholesale prices – buy as little or as much as you need! Whether you want to shop online and have your order shipped directly to your door, shop online and pick up your order, or come into our warehouse, we’ve got you covered! We also offer Direct Store Delivery routes for stores in the Denver front range area who want delivery and restocking on a consistent schedule.